Buy from us and you can buy with confidence. 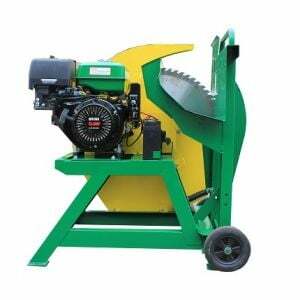 We offer a wide range of Wood Log Saw, including Pull Start, Electric Start, Towable & Non-towable Models. This mobile swing type wood saw makes life very easy when sawing logs, quicker than a chainsaw and no down time due to blunt stretched chains. 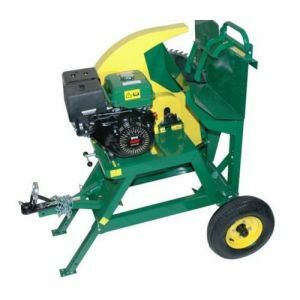 This robust machine features a log camping device, a log carriage lock to easily move around, and a stable belt extension for ease of start. With a 70cm cutting blade and a multi-functional cradle powered by ELECTRIC START, cutting has never been easier, safer and saved you an enormous amount of time. Best of all, with pneumatic tyres and a tow winch, this wood saw can be towed around your property. 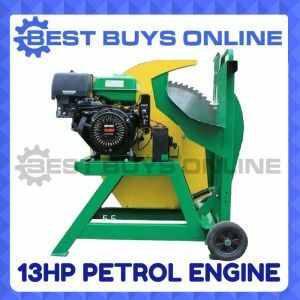 The durable steel construction has an enamel finish to extent the life of the machine and has been constructed with safety in mind. Quality made, this machine comes from one of Australia's largest importers of quality industrial machinery and will more than certainly meet your expectations. Be able to cut wood with diameter from 50-270mm.